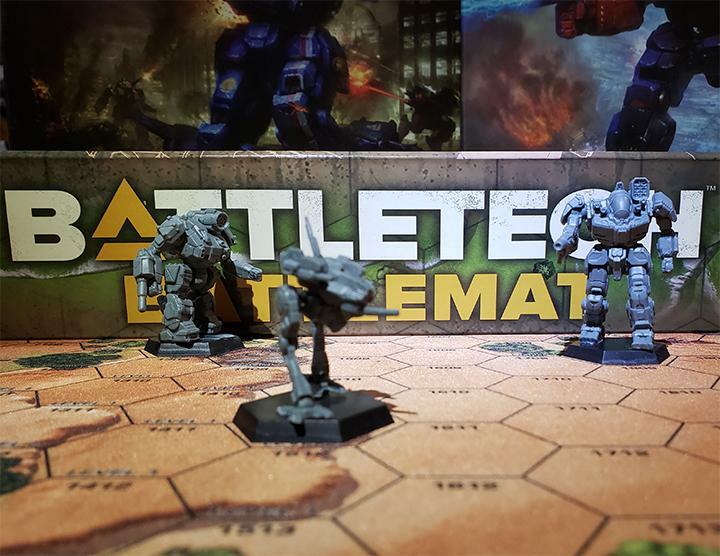 About two years ago I reviewed a bunch of sci-fi themed mobile games that I thought might appeal to the discerning BattleTech fan. Among them was a neat little turn-based sandbox-style strategy game called Templar Assault that reminded me of a grid-based MegaMek if it were dropped into the Warhammer 40K universe. The pay version of the game included an ungodly number of missions and campaigns (100 levels at last count) where you could fight an array of aliens, robots, and other humans. 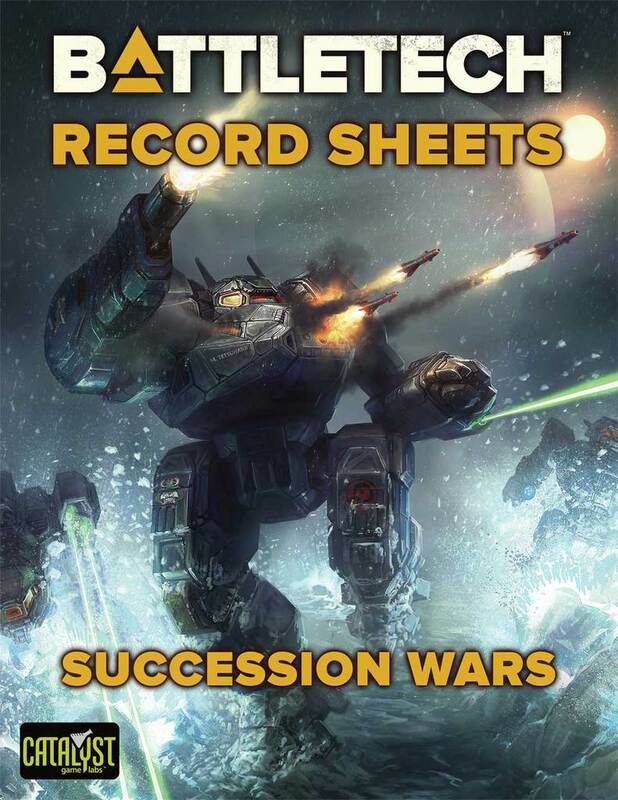 Fighting in Leviathan Battlesuits- essentially Wanzer or Gear-size mecha sporting an array of autocannon, flamers, sword and axes, the Templar is an extremely efficient death machine. But not unstoppable. There is cursing aplenty as you start to lose your troops- a reason for a six-tier difficulty rating. It was only the Trese Brothers‘ second game, and since then they’ve learned quite a bit about their craft and the business of making games. Templar Battleforce is now out for Steam, and soon for Android and IOS- their old stomping grounds. I also managed to get a few questions answered from the team- Cory, Andrew, and Martin Trese. [Ron] Thanks for taking some time out of your schedule. By your standards, Templar Assault is a very dated game now. What has changed in the years since? [Andrew] Templar Assault is coming up on its fourth anniversary. It has been one of our most loved games. In between, we’ve made 4 other games and gone through 2 KickStarters and a major game engine update. Everything is new, and you’ll see that front and center in the tactical game play of Templar Battleforce, rich soundscape and visceral combat. What isn’t new is the depth of the game’s tactics, character customization, and the intense scale of difficulty (play on Easy or go all the way up to Ironman! ), and the huge scope of game content, with more than 45+ scenarios to face. If you enjoyed Templar Assault, you really should check out Templar Battleforce. [Ron] Does the change from Assault to Battlefront in the title reflect on a relationship with the upcoming Star Traders 2, or just the larger number of units you can field at once? 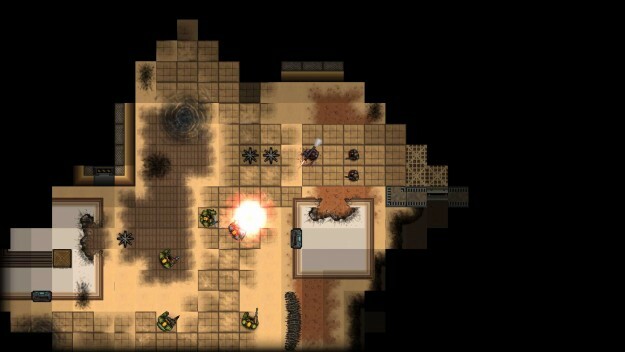 [Andrew] Templar Battleforce is a better representation of what you got in [Templar Assault]. Before, when you built a squad, sixteen Templars was always known as a battleforce. It became a natural name for the new game as you can really geek out on the amazing squad building and customization between the combat levels. [Ron] You could only field four of them at a time though. Certainly not the case here. [Andrew] In a normal Templar Battleforce combat scenario, you’re going to see 6 to 9 Templar on the map. Templar Knights are human, sitting inside the chest cavity of a 10 ft tall Leviathan battle suit. 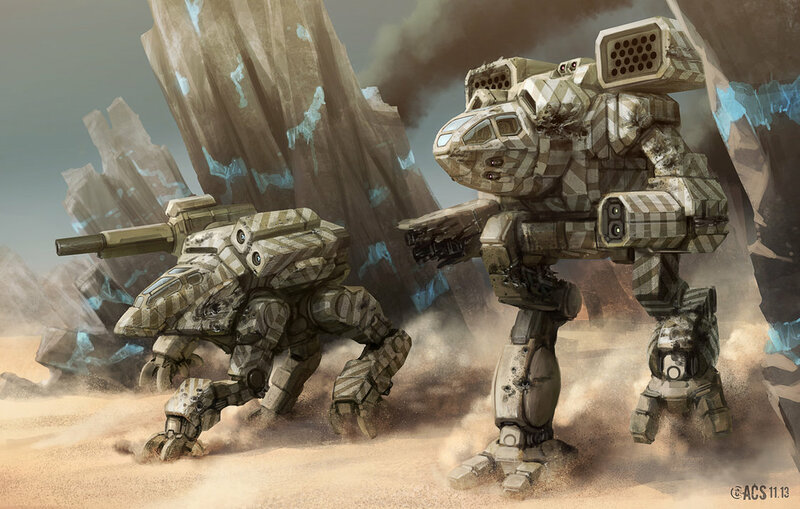 They pilot these walking tanks into battle. 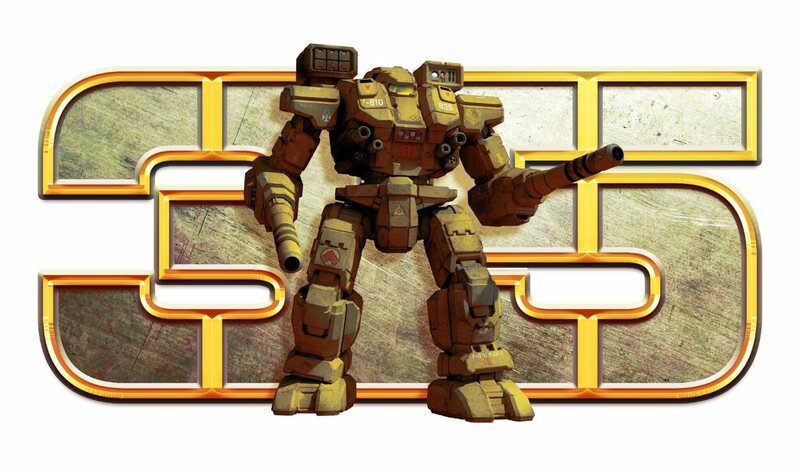 As the elite strike team, they do a lot with a small number of troops, so you’ll be forced to multi-task, hold multiple fronts, and know when to use your scouts to infiltrate enemy lines. While you can build up a big roster of specialists, you can only deploy a few to each level, and that keeps the game very exciting and fast paced. Armored human ruins a Templar’s afternoon with a missile launcher. [Ron] The movement, attacking, buff, and advancement system reminds me of an earlier game of yours, Heroes of Steel. How much carried over from Heroes? Can we expect any in-jokes or other references to pop up in the game? [Andrew] All of our games build on those that came before. We use an open-source game engine (Cocos 2DX) and then layer our own game engine on top of it. While there is some Heroes of Steel in Templar Battleforce, once you get playing you’ll find that the combat mechanics and strategy are vastly improved and all new. We’ve got Overwatch (defensive firing), flame throwers, deployment of sentry turrets, [think team fortress] cover and ranged advantage positioning, counter-attacks and more. The game is rich with ways to build a successful squad and to use all of these sweet new tactical systems. [Ron] Any cross-stories or references between Battlefront and the upcoming Star Traders 2? [Andrew] The shared stories between Templar Battleforce link more to the storylines of Star Traders RPG and Star Traders 4X Empires. However, at the end, there is some Star Traders 2 links. I’ll leave it up to you to get there! [Cory] And of course the planets, characters and storyline in Templar Battleforce will be places you can visit in Star Traders 2. If there was a Templar knight in that fusion blast, I doubt there’s much of them left. [Ron] I’ve seen from screenshots some larger, multi-tile sized enemies and objects. 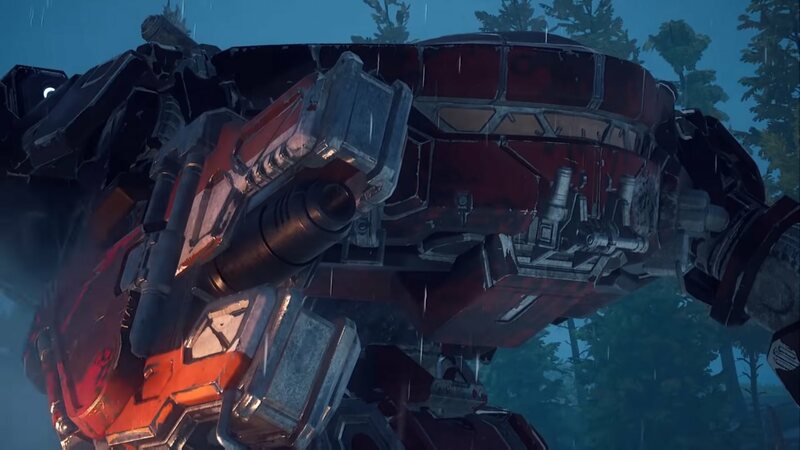 Can we expect to see Titan exosuits (about the size of protomech or light ‘mechs to BattleTech fans), drop shuttles, or other vehicles on screen? 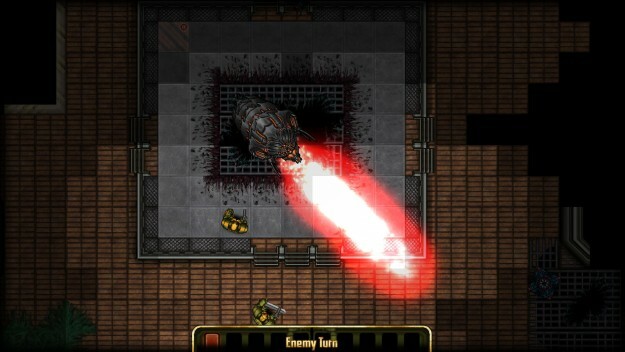 [Andrew] We’ve been really excited to include epic boss fights in Templar Battleforce. Big, nasty multi-tile creatures. I loved playing Contra and Super Contra as a kid, and I wanted to bring some of that feeling to the battles. Why am I referencing Super Contra? I don’t know — I love that game and the bosses always felt multi-stage, fun and frantic. You’ll see that in the big boss fights in Templar Battleforce. You’ll see dropships in action, but you won’t get to control them or other vehicles. There are some other big environmental pieces that you’ll see and get to interact with, which was great to build into the game. At this time, no Titan exosuits. [Ron] Besides obvious references I can make to SpaceHulk, the open-ended sandbox appeal of Templar Assault and simple top-down graphics reminds me of games like Megamek. From playing in the Alpha test I saw there is a definite episodic story arc at work similar to Heroes of Steel. Is there going to be an sandbox mode here as well? [Andrew] The game features a campaign story arc. It is non-linear in places, and has potential branches you can take. If you beat the game with your squad, you’re given the option to play it over again. One thing we are most excited about in our updates (we LOVE updates!) is adding new content. We’ve already got over 45+ combat scenarios, and we’re going to ratchet that up even higher. By the time you’re done, there will be a whole lot of optional content, branches, and alternate endings … it won’t be a sandbox, but it’s going to be an epic campaign mode. [Ron] How did you and Martin (Trese) divide the graphic workload now that he is now part of the team? [Andrew] It is important to keep the graphic design of a game consistent and clear. To do that, we let Martin take on most of the creative control of the characters, enemies and environments. I helped by doing all of the animation work, building the user interface, and helping with about 20% of the art. It was great to have shared responsibilities. The best part was working with our brother. Cory and I have been doing this for a while together, and it was a blast to loop Martin in on a project, because this is a love and a hobby the three of us have shared all of our lives. [Ron] The three of you are obviously really deep science fiction fans. Which sci-fi franchises influenced you, Cory and Martin the most when developing the setting, not just Templar Battlefront? [Andrew] I think you could look at Dune and Aliens as the two biggest influence of our sci-fi love. These were both seminal works that led me down the road to deep science fiction and love the drama of humans and aliens in space. [Cory] I certainly think Dune has to be my favorite science fiction work. I would also say that Star Wars was a big influence. We read a lot of Heinlein, Asimov and Clarke from the local library. I have always truly loved the epic scale of space operas. [Ron] How would you describe the background for “The Quadrant” setting to the uninitiated? Can we expect to learn more about the history of Shalun and the Zendu, what the Narvidians are all about, and other questions burning the TB forum? The setting for all of the games set in this universe — Templar Battleforce, Star Traders RPG, and the others — all most importantly center on a massive group of refugees. They are fleeing a war of mutually assured destruction in the Galactic Core. These refugees, known as the Star Traders, and the martial order that leads them, the Templar Knights, band together and flee the war zone in a migration known as the great Exodus. All of the setting really takes place after that. The great Exodus is so immense that it splinters, and thousands of ships are lost or left behind. In the end, the main thrust of the Exodus reaches its new home, the Quadrant at Farfallen Rim. Templar Battleforce follows the story of a small convoy that became separated from the main fleet and is forced to settle in unfriendly space. It’s a great stage on which you see a conflict play out, but also get to learn a lot about the Templar, their order, how they work, and their enemies. [Ron] Has game-making changed much since Trese Brothers began putting it’s games on Steam? Are responses from Steam players much different than mobile device users? [Andrew] The expectations of a Steam user are very different from those of a mobile user. Our first launch onto Steam was admittedly a little rocky, as we lacked some key features that everyone wants. A huge part of the development of Templar Battleforce was ticking off every desktop-related feature we’ve been asked to add. So, it has helped us really grow into cross-platform developers. In fact, we really built Templar Battleforce for desktop, and we are porting the game to mobile. [Cory] Building the game for the desktop first has been a lot of fun, and a very different experience. It has been a lot of fun and I think this new version of our engine will show we focused on desktop from the beginning. We’ve got some work ahead of us for the mobile port, but I think our experience building mobile games will pay off there. [Ron] Once again, thanks for the update on the new release. This will definitely tear chunks out of my free time for the foreseeable future. This entry was posted in News, Video Games and tagged Android, Artwork, Interviews, iPhone, news, Video Games on 2015/09/23 by Ron. 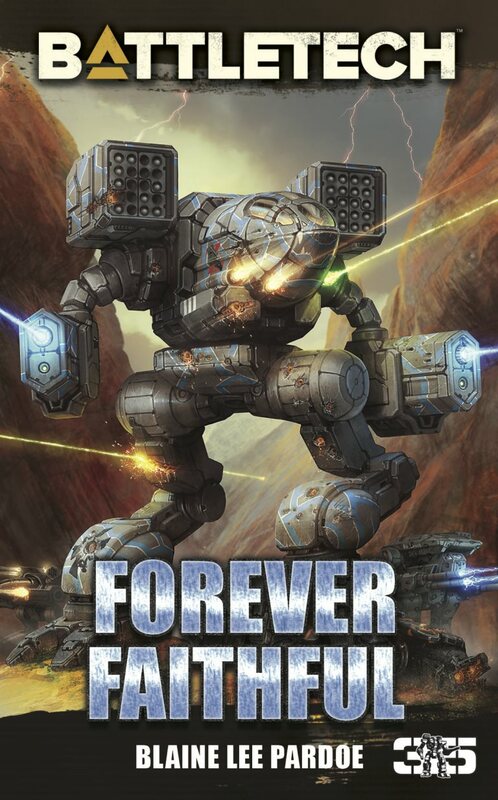 Long time Battletech fan, Arts and literature dabbler. As comfortable in the 31st century as the 21st. I don't care for sports, but I'd make a big exception on Solaris. Good interview. 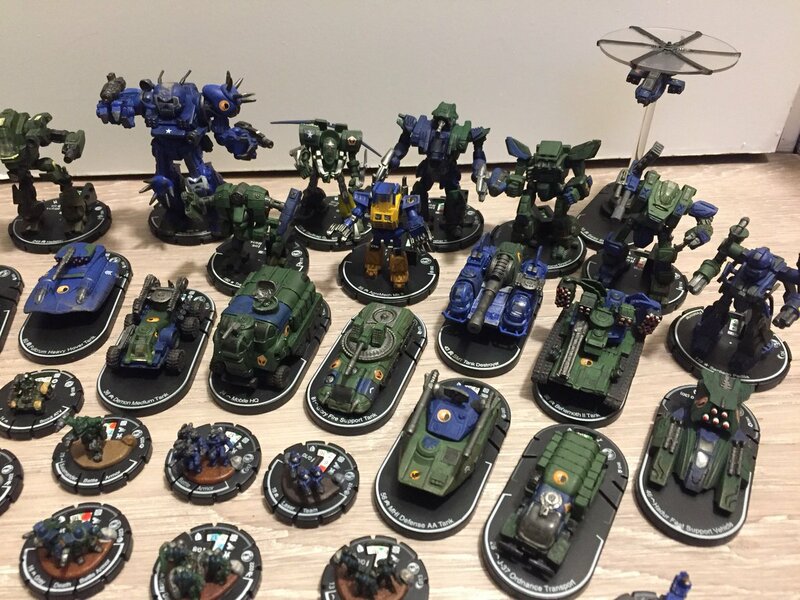 I have been enjoying Templar Battleforce as well. Sign up for the Sarna News mailing list!